In the warm golden light of the Alexandra Tavern, raggedy pub cat Tommy curled on a chair, and I warmed my chilled body against the grated wood fire in the front bar room. Two things were notably missing but not at all missed: TV screens and music. There were little clots of people talking and some couples playing board games in the back or darts in the lounge, a larger room with a worn carpet and comfy maroon velour banquets. The yellow plaster walls were decorated with, I learned later, memorabilia from publican owner James “Tiny” Little’s heroic 3,000- mile open water rowing voyage from England to English Harbour, Antigua in 2005. Some nights Tiny, thin and ropy with an earring in one ear, held court at the bar. 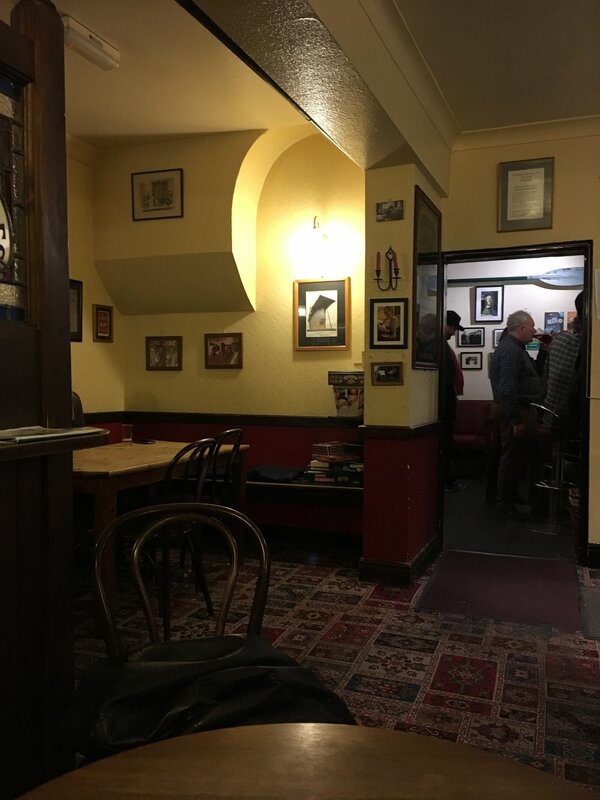 The Alex became our beloved “local,” during our five week Norwich sojourn, and it is an exemplar of “the third place” Ray Oldenberg wrote about in his book, The Great Good Place. If the first place is home and the second place is the workplace, then “third places” are anchors of community life. 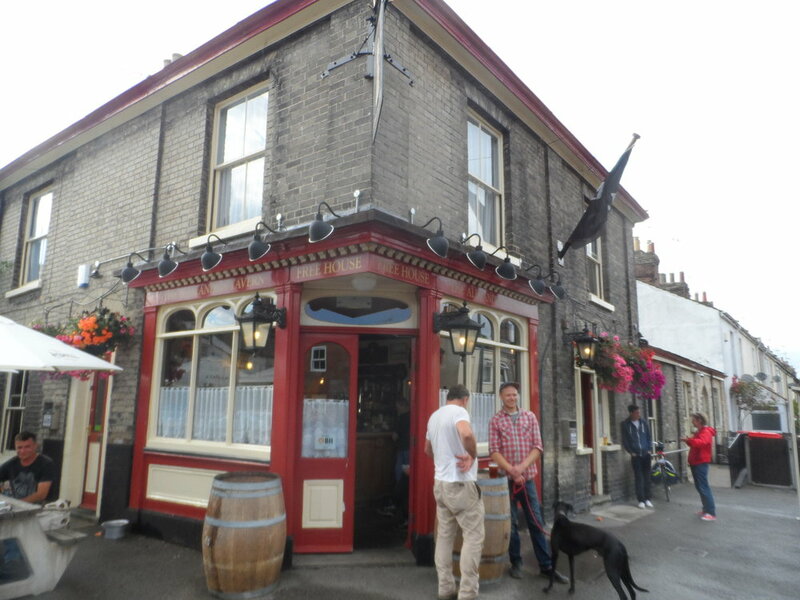 Welcoming, highly accessible, a social leveller, frequented by regulars, inexpensive or free: the Alex is all of this plus, extremely important to the British-born Chef, it is the main purveyor of Chalk Hill Brewery cask ales. To those not in the know, cask ales or “real ale,” as they are known in the UK, are unfiltered, unpasteurized beers that do all their fermenting in the cask with no artificial carbonation. The Chef ordered his pint of Chalk Hill Brewery’s Best Bitter, and I ordered a half of mild. * The talk and laughter washed over us, and we felt utterly at home. The Alex serves “Toasties”— grilled cheese sandwiches cut into triangles (£3.00)—and good, inexpensive one-dish dinners (£7.00) but oddly only until 7:00 PM. 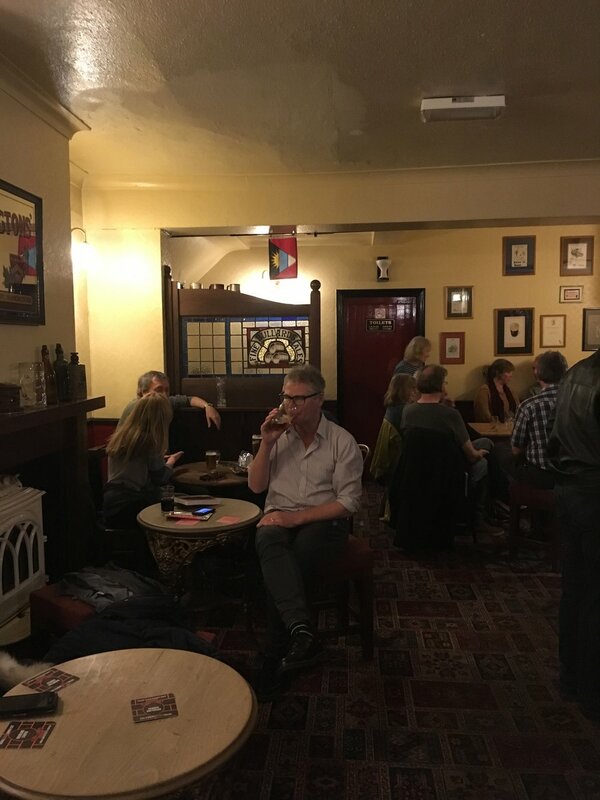 When we learned that the pub is famed for its monthly Philosophy Club evenings led by retired UEA professor Peter Green, we decided to come early and sample the food before the 7:30 event. After waiting an hour for our dinner, it became clear that one zaftig chef/waitress was doing all the work, but the Chef’s lamb and mint and my creamy chicken pesto stew, were well worth the wait, both served with giant heels of Ciabatta bread. **I’ve long thought that if bars in the US offered half-pints they would sell more beer, certainly to women, who, if you look around a British pub, are mainly drinking halfs.